Where is my April going? It has been such a busy month thus far… Most of it has been rain. So no garden updates until I can handle getting outside long enough to take a photo! Knitting has been a little slow too. I'm working on a top down baby cardigan, which top down is new for me…. 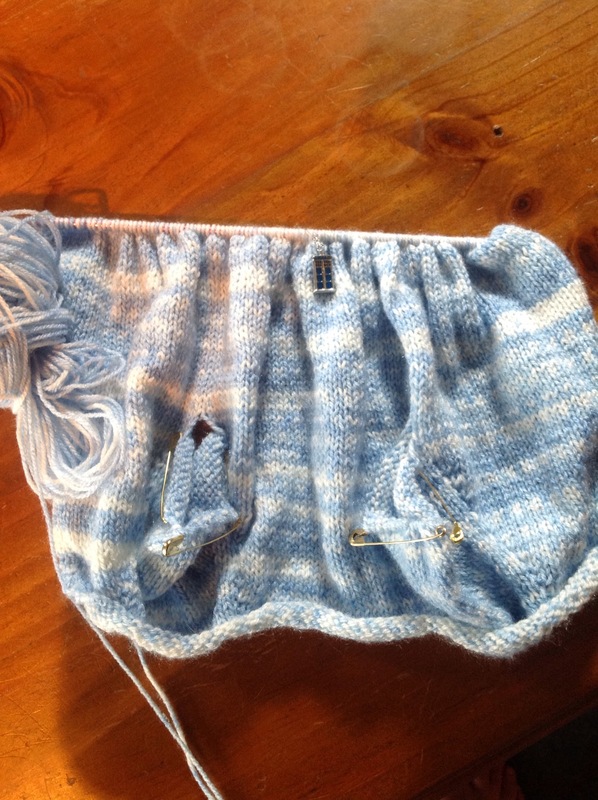 But baby wool… It just takes so long to knit! 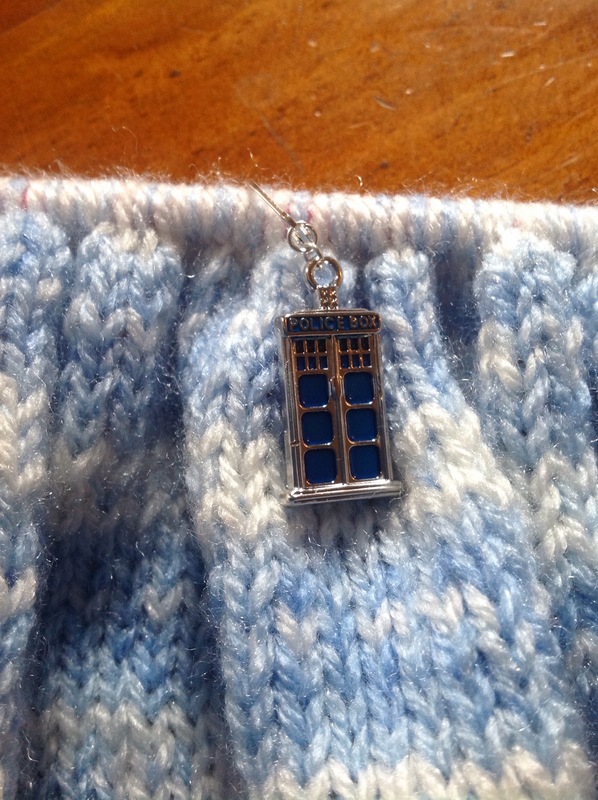 I did make these cute Tardis stitch markers, which you can see in The Knit Guru store. That, and I've been writing. Camp Nanowrimo has begun, and I'm 23,000 words in to my 50,000 word novel. The story will take longer than 50,000 words methinks, but it is fun to write. It's my first fantasy….. Sigh. And, Tuesday night, my version of “A Midsummer Nights Dream” hits the stage in competition…. Hopefully it will be a crowd favourite. We never seem to win, so I stopped trying for that. 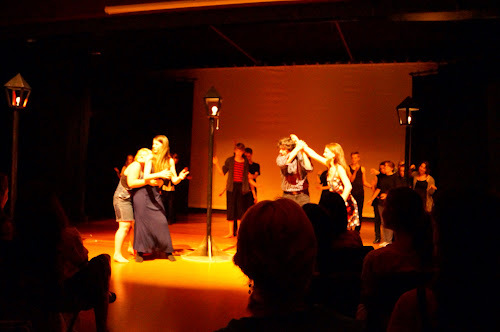 My goal is to just show people how cool Shakespeare really is. So, I'm back to the needles and then the computer to type on… My house is clean…. But dinner sadly doesn't cook itself when I'm trying to write a novel.